Dark opens with a quote from legendary brainbox Albert Einstein. "The distinction between the past, present and future is only a stubbornly persistent illusion." And while we’ve all woken up with a similar feeling after a heavy night at the office party (‘tis the season), it’s important to keep in mind while watching Netflix’s latest binge watch: a ten part supernatural thriller that pairs the concept of time travel with the ripple effects of a boy’s disappearance in a small German town. And heiliger strohsack, is it good! We got sent the first three episodes the other week and devoured the filthy lot faster than you can say “renewed for a second season”. It’s gained comparisons to fellow streaming behemoth Stranger Things and you can certainly see where they’re coming from: the disappearance of a young boy, the bike-riding youths, the 80s flashback scenes. 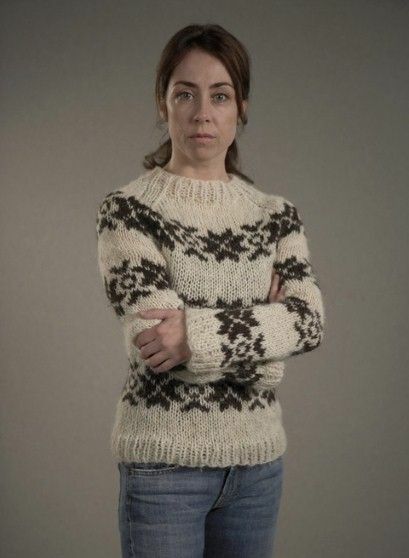 To be honest though, it’s probably closer in tone to one of those great Scandi crime shows that have popped up on BBC4 over the last few years; all tense atmosphere and dark, foreboding woodland (in fact, you half expect Sofie Gråbøl to wander past in Faroe Island sweater). “There’s just something about small towns being a microcosm for human behaviour that we find really, really intriguing,” says writer and producer Jantje Friese, who made the show along with her creative partner, the writer and director Baran bo Odar. The pair were approached by Netflix following the success of their 2014 film, Who Am I, which centered on a computer hacker group in Berlin. Not wishing to repeat themselves, they went back over some unfinished ideas from the last few years and found the beginnings of a time travel feature and a crime drama series with no supernatural elements. “We thought, let’s just combine the two,” says Friese. Hey presto, the time traveling crime genre was born. What’s great about the show is that for all the general relativity and theoretical physics on display, there’s something inherently German about the whole thing. Odar’s quick to point out the rich history of fairy tales and, in particular, the work of brothers Jacob and Wilhelm Grimm, whose stories would often take place in the country’s vast woods. “It’s just a metaphor for the dark caves in ourselves where you don’t know for sure what you are meeting and how as a human being you can be really lost in the woods,” he describes, while Friese puts the show’s “dry creepiness” down to something in the German national psyche. And as for those Stranger Things comparisons? “If the people who watch Stranger Things watch our show, or even just a third of them, we’ll have we’re a big hit on our hands,” says Odar, with characteristic dryness. Looks like that idea of a creative desert really is only a stubbornly persistent illusion. Dark is available on Netflix now.